In the T20 World Cup warm up match held between India and England, India won by 20 runs. It was a good game for both the teams to deliver a better start in the WC T20 matches. Today, England won the toss and elected to field first. England had already lost a Warm up match against West Indies. So, they entered the field with a intention to win this game. India started its innings to deliver their best. India has not played T20 matches for some duration. So, India have to practice well in Warm up matches to deliver their best in the upcoming matches. India palyers has the experience of IPL matches instead to T20 matches. Rohit Sharma and Shikhar Dhawan are the players to enter the crease to start the Indian batting innings. Both have not performed well. At 30 runs both the wickets had been fallen. After that, Yuvraj Singh is the man to join Virat Kohli. Yuvraj too gone for 1 run. At 39 runs India lost 3 wickets. Next to Yuvarj Singh, Suresh Raina is the man to enter the crease to join hands with Virat Kohli. Both played well and scored half century each. During 15th over, Raina innings came to end for 54 where India had a total score of 120. Next man to enter crease was the Indian Skipper MS Dhoni. At the end of 20 overs India scored 178/4. Considering the England bowling line, all bowlers played their role good. Jade dernbach, Tim Bresnan, Chris Jordan and Ravi Bopara took 1 wicket each. England were given a good target of 179 runs. Michael Lumb and Alex Hales are the players to enter the crease to start England’s batting innings. They both gave a good start and scored quick runs at the beginning. Unfortunately at 43 runs, England lost its first wicket. Alex Hales was the man to depart in 5th over. Followed by him, Michael Lumb departed on 9th over where England where 58 runs. Eoin Morgan is the next player to partner with Moeen Ali. Next to Morgan, Jos Buttler joined with Ali. Ali and Buttler scored a decent score but both couldn’t make half century. Finally, England innings came to end for 158/6 in 20 overs. 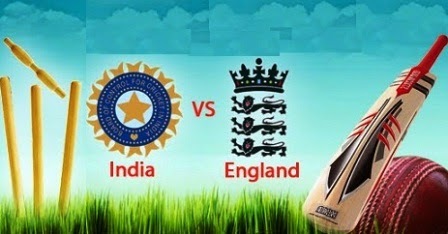 Thus England lost the match against India by 20 runs. Indian bowling was good. Ravindra Jadeja took 2 wcikets whereas Ravichandran Ashwin, Bhuvaneshwar Kumar, Mohammed Shami and Suresh Raina took 1 wicket each. Hope this Warm up match was a good entertainer for the viewers and it’s a good practice for the players. Let’s wait for the real matches. The final champion of World Cup T20 2014 is going to be known soon.